These 8x20s weigh in at a mere 8 oz/230 g or so. This, combined with their nearly-negligible length of 3.6"/92mm, establishes them as leaders in the world of discreet optics. Being able to focus down to a sweet 7.2'/2.2 m opens up new viewing horizons for the lucky owner - this is a huge advantage over garden-variety binos with their so-called 'minimum' focus of 15' or more. It's true - good things definitely do come in small packages. 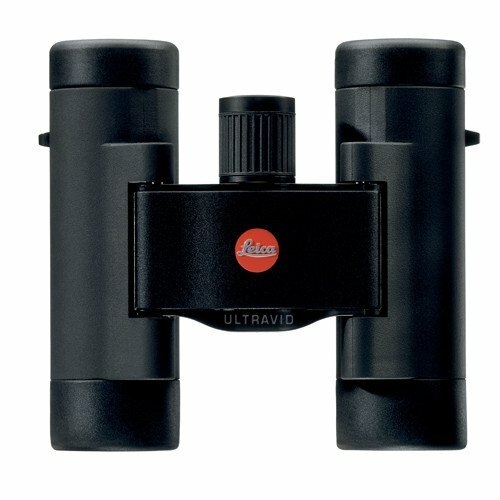 These Ultravids offer an outstanding magnification level of 8x, and being graced with a trim 20mm objective gives them an advantage where size is a concern - yet it's important to remember that this configuration relegates them for use in well lit conditions. The spectacular optical performance of this fine binocular starts with extremely high-quality roof prisms that are fine-tuned with phase-correcting P40 coatings and the High-Lux System. Each of the 6 lens elements are treated with HDC coatings, and the durable aluminum housing is filled with dry nitrogen and sealed for total water and fogproof performance. In a more user-friendly manner of speaking - your view will be crisp, clear, and full of rich details. Interpupillary Adjustment 34 - 74 mm / 1.34 - 2.91"
Box Dimensions (LxWxH) 6.142 x 4.409 x 3.465"